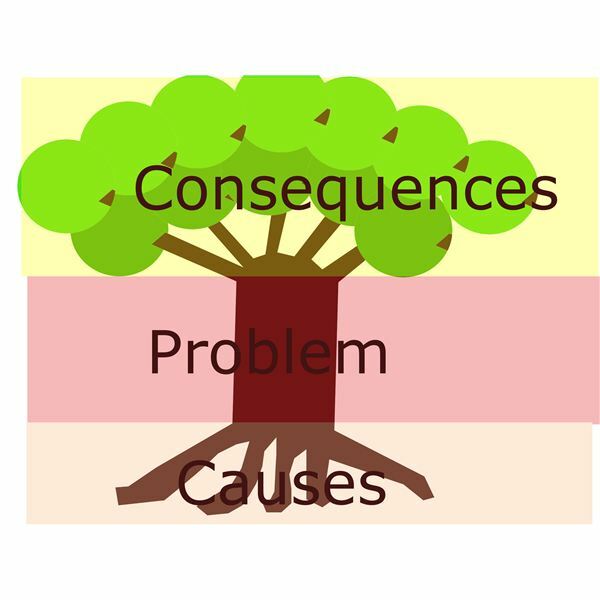 A problem tree analysis is a pictorial representation of a problem, its causes and its consequences. 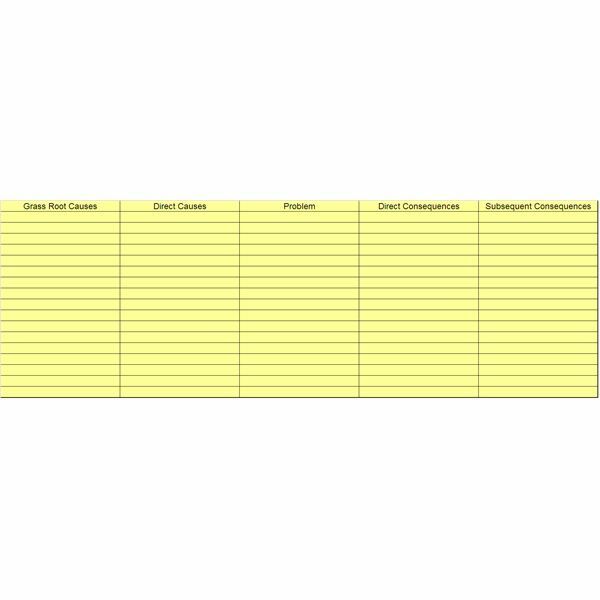 This analysis tool helps the project team get a quick glance of how a range of complex issues contribute toward a problem and how this problem branches out into a set of consequences. Both causes and consequences are fitted into the diagram on a hierarchical preference basis. Like any other problem analysis technique, this technique requires a collaborative effort from the entire project team. Begin with a brainstorming session to identify the major problems affecting the project. For each problem you will have to carry out a separate problem tree analysis. Divide your board or the paper you’re using to record the analysis into three vertical sections, and write the problem in the middle section. The left side can be reserved for the causes and the right side for the consequences. Discuss with the team the possible causes that can be held responsible for the problem situation. From this, list and identify the ones which have a direct relationship with the problem. These direct causes can be listed on the extreme right hand side of the section reserved for the causes. The causes which lead to these direct causes can be listed to the left of this list. Relational arrows can also be used to demonstrate the cause and effect relationship among the causes (Refer to the Image). When you’re done with the causes, move on to the consequences. When listing the consequences, list the direct ones on the extreme left of the consequences section. The consequences that result from these causes can be listed to right of this list. Finally when a comprehensive list of causes and consequences have been developed and the related causes and consequences have been linked respectively, you’re ready to display the information pictorially. For this you can use a sketch of a tree (like shown in the image above) and write down the problem on the tree trunk, the causes along the roots and the consequences along the branches. Alternatively, a bock diagram, like the one shown in the image below, can be used to present the problem tree analysis in a more organized and professional manner. Provides in-depth information on the problem in question, leading to a better understanding of all the interconnected issues, and providing a solid platform for strategizing and initiating problem solving measures. The analysis helps closely examine the problem by dissecting it into manageable pieces and establishing links between these pieces. With a clear idea of how and how much each cause contributes toward the problem and what and how severe will be the consequences, the project team is in a better capacity to organize and prioritize the remedial actions. It can help in developing a multi-pronged strategy to deal with the different aspects of the problem and thus ensure absolute success. 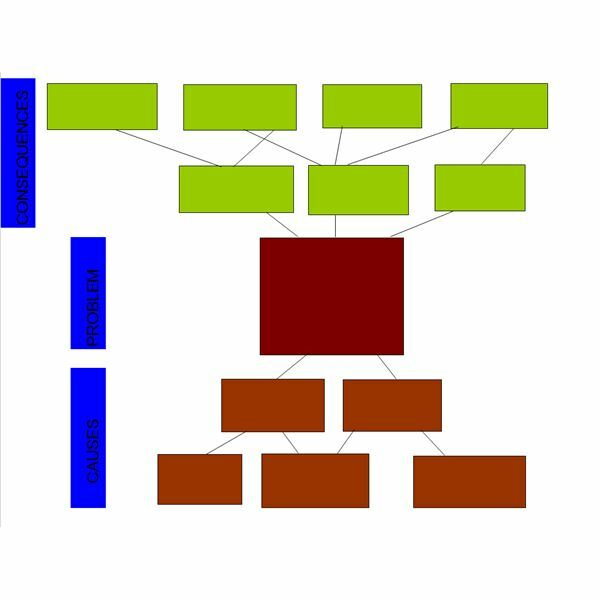 The shared technique, used to generate information during a problem tree analysis, ensures that every aspect of the problem is taken into consideration, irrespective of its relative importance. This means the chances of the problem solving plan falling back are nearly negligible.